Gold Today –New York closed at $1,239.50 yesterday after closing at $1,256.90 Wednesday. London opened at $1,234.00 today. – The $: € was weaker at $1.0932 after yesterday’s $1.0912: €1. – The Dollar index was slightly stronger at 99.11 after yesterday’s 99.08. – The Yen was weaker at 112.96 after yesterday’s 112.16:$1. – The Yuan was weaker at 6.8949 after yesterday’s 6.8921: $1. – The Pound Sterling was weaker at $1.2887 after yesterday’s $1.2923: £1. The Shanghai Gold Exchange was trading at 277.10 towards the close today. This translates into $1,245.02. New York closed at a $5.52 discount to Shanghai’s close yesterday. London opened at a discount of $11.02 to Shanghai’s close today. London is leading the way down at the moment, following Shanghai’s close and New York is beginning to show signs of buyers coming in. But we note that not until today did London outrun the others in taking the gold price down. LBMA price setting: The LBMA gold price was set today at $1,235.85 from yesterday’s $1,253.95. The gold price in the euro was set at €1,130.18 after yesterday’s €1,148.88. Ahead of the opening of New York the gold price was trading at $1,234.35 and in the euro at €1,129.53. At the same time, the silver price was trading at $16.49. Silver Today –Silver closed at $16.47 yesterday after $16.83 at New York’s close Tuesday. The silver price’s fall is slowing another sign that the gold prices may well be looking to establish a bottom at current levels. The Fed remains positive on U.S. growth despite the slowdown in the first quarter. The indications are that the joblessness rate is now at maximum employment and the inflation rate getting close to the targeted 2%. This allows the Fed to continue discussions on shrinking the Fed’s Balance Sheet and leaving the door open for a June rate hike. The market saw this as negative for gold which has fallen heavily in the last day. We had forecast a strong move either way. 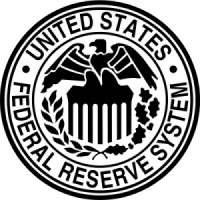 It became clear that the Fed’s statement was the trigger for the fall, albeit that it has taken the New York, Shanghai and London sessions to make that happen. The fundamentals remain good for gold, so we are watching to see if the fall in gold prices will hold for long? It is looking more and more like a President Macron in France, but one wonders, without a political party behind him, how will he carry out his policies? Each policy will be assessed by the current political parties before they give him their backing. A victory by him will mean a continuation of the E.U. in its present form, for now. Over the next decade, we will see a heavy fall in the volume of newly mined gold. Due to the decaying state of world politics and growing divisions in the monetary world, we are certain that global demand for gold will continue to rise. At some point the availability of scrap gold will suddenly shrink as the inevitability of a price surge becomes imminent. There will be no turning back of gold prices from then on. Gold ETFs – Yesterday saw no sales or purchases from or into the SPDR gold ETF but the Gold Trust saw purchases of 0.41 of a tonne. Their holdings are now at 853.362 tonnes and at 204.23 tonnes respectively. 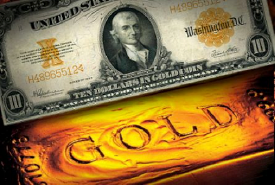 Gold Today –New York closed at $1,256.10 yesterday after closing at $1,256.30 Tuesday. London opened at $1,253.65 today. – The $: € was stronger at $1.0664 after yesterday’s $1.0670: €1. – The Dollar index was slightly stronger at 100.60 after yesterday’s 100.57. – The Yen was slightly weaker at 110.77 after yesterday’s 110.70:$1. – The Yuan was weaker at 6.8995 after yesterday’s 6.8892: $1. – The Pound Sterling was stronger at $1.2475 after yesterday’s $1.2428: £1. The Shanghai Gold Exchange reopened today and was trading at 280.6 towards the close. This translates into $1,264.97. New York is trading at a $3.87 discount to Shanghai and London opened at a $6.32 discount to Shanghai. LBMA price setting: The LBMA gold price was set today at $1,253.75 from yesterday’s $1,252.50. The gold price in the euro was set at €1,174.58 after yesterday’s €1,173.96. Ahead of the opening of New York the gold price was trading at $1,252.45 and in the euro at €1,173.81. At the same time, the silver price was trading at $18.23. Silver Today –Silver closed at $18.30 yesterday after $18.31 at New York’s close Tuesday. In the last day, the gold price broke down to $1,244 before recovering back above $1,250. So the support still holds at $1,250, but it has to break through the 200-day moving average of around $1,260 before rushing higher. So we should be ready for a gold price move either way today. The Fed Minutes stated that, by traditional valuations, the equity markets in the U.S. are too high. So we watch the S&P 500 to see what impact that will have. They also indicated that they may reduce the Fed’s Balance Sheet later in the year. While two interest rate hikes in the future are already priced in the monetary tightening is not. It may well result in the yield curve rising across its spectrum. In Europe, Mario Draghi cautiously implied that the fear of inflation has passed and while risks remain to the downside he was more confident that growth across the E.U. economy is becoming positive. 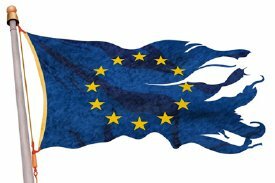 To us there are so many continuing risks in Europe that one needs to continue to question the future of the E.U. economy. 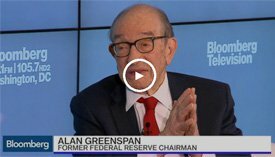 What we did find somewhat disturbing in what he said, was that the more positive shape of the economy was due to two factors, monetary policy and the oil price fall. Oil market commentators are pointing to rising oil prices [but not back to triple digit levels] If oil prices do rise significantly, [which does seem unlikely as it will unleash more supplies] the fragile E.U. economies will suffer alongside economic recoveries across the globe. Top of today’s events is the meeting between President’s Xi of China and President Trump. If President Trump’s election promises are to be a guide the meeting should end with potential confrontations and massive tariffs on Chinese imports into the U.S. A sobering fact on this issue is that 73% of shoes sold in the U.S. are made in China [as an example of what could happen]. Or will we see a dampening of election ardor? With the Obamacare repeal failing, what will happen to potential tax cuts? If Trump fails to get these through, we are back to the last 8 years of gridlock in government. Unless Trump has a major victory we cannot expect to see the vibrant growth Trump promised. As it is the dollar is expected to decline gently from now on. If his failure on Obamacare is reinforced with more failure, the dollar’s fall will accelerate against gold. Gold ETFs – Yesterday saw no purchases or sales into or from the SPDR gold ETF but sales of 0.04 from the Gold Trust. Their respective holdings are now at 836.765 tonnes and 199.81 tonnes. ROSS NORMAN : Rates Up – Gold Up – Why ??? To observers of financial markets it must seem odd that they often behave exactly the opposite to what is expected. Explaining it is also a strange thing too. Essentially when the US Federal Reserve jawbones a potential move such as a rate hike (for the best part of a year), investor positioning is congruent with the expected outcome – that is to say dollar / equities up an by extension, gold down. But what happens when they are too successful in leading the markets expectations and the market positioning is too extreme for the expected move. Well you have a heap of investors who are short gold and long the dollar / equities who don’t get the win they expected… that is to say the move is over-priced into the news. As such, those investors – be they speculators in the futures markets or physical buyers who have forestalled their purchases for a hoped for price correction … are vulnerable. In this environment a little counter-intuitive buying of gold and selling dollar / equities is usually sufficient to frighten them into covering their position. In short, markets end up moving exactly the opposite way to how classic economics would tell us. And the move feeds on itself because of the extreme positioning. Evidence to support this view is gold’s move over the last few rates increases – the 25 bps increase in December 2015 saw a subsequent 18% rise in gold over the following 3 months. 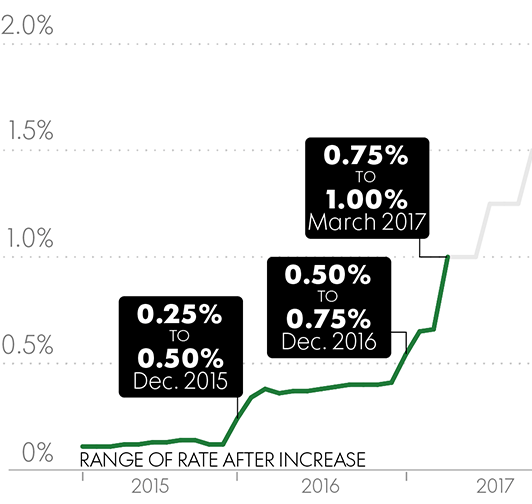 Meanwhile the December 2016 rate rise saw an 8% increase over the next 3 months. Yesterdays rate rise has seen a 2.4% rise in gold so far … and appears to be petering out. What this indicates is that the wonderful ruse by institutions who exploit predictable investor behaviour seems to be running its course. So where do we go from here – well having been burned by behaving logically, presumably those investors who keep finding themselves “long and wrong” in dollar/equities and “caught short” in gold will be more perspicacious – a posh way of saying more wise and cynical. Ultimately we could just end up not listening at all. While I may not have been publishing much on lawrieongold.com in the past few weeks or so, I haven’t been being non-productive but have been publishing my own articles elsewhere while using this site for what I deem to be some pertinent independent comment. Readers may thus like to have their attention drawn to a series of three articles, all published on www.info.sharpspixley.com looking at the effects on the gold price and the U.S. dollar of various statements by US Fed Board members and Heads of Regional Feds, which in concert suggested that rather than wait until June to implement the next Fed rate rise, which had been the consensus, that it was now likely to occur at the March meeting of the FOMC, which is now due in 10 days time. The effect of these statements has been to drive the dollar index higher and the gold, and other precious metals prices, downwards. The odds of the US Fed implementing a rate increase as early as the March FOMC meeting in 2 weeks’ time have increased to over 80% with gold and silver prices suffering accordingly. 3. Gold, the dollar and the Fed. Fortunes made and lost? The latest series of hawkish forecasts on a probable March interest rate rise could have given anyone with foreknowledge the opportunity to make enormous monetary gains. Readers may also like to view articles I’ve been publishing on Seeking Alpha. The latest of these is: Gold And Silver Stock Picks: How Are We Doing So Far. Which looks at the performance of some stock picks I made on December 30th – but be advised the article was written immediately before the various Fed grandee statements knocked the gold price back sharply. However I still stand by my recommendations. With so much seeming to ride on central bank interest policies in terms of equities in general, and precious metals in particular, perhaps one should look at the motivations behind the timings of likely interest rate hikes. If we start with the U.S. Fed – nine months ago its Federal Open Market Committee (FOMC), which calls the tune on interest rates, was predicting that the U.S. economy was recovering sufficiently to allow three, or perhaps four, small rate hikes in 2016. Presumably the economy has not so far recovered sufficiently to do so and thus not a rate hike to be seen as yet, which is why there has been so much attention being paid to a possible September rate increase. Perhaps this could still happen despite some poor economic data, if only to save FOMC face. We get successive statements suggesting the U.S. economy is coming right, only for the next set of government data showing that it patently is not doing so, and the rate increase can gets kicked down the road again. The latest data, showing disappointing retail sales in August, following on from an ultra cautious statement from Fed Governor Lael Brainard, seems to have left those thinking that there could yet be a September rate increase announcement, in the distinct minority. But there are still lingering doubts that the FOMC may talk itself into a rise this month, hence some of the weakness seen in the gold price and equities. Everyone rules out a November rate hike as that would come so close only a couple of days ahead of the Presidential election date and now apparently some 70% of analysts believe that the FOMC will bite the bullet and implement a small increase in December – probably whether the data would seem to justify this or not. While the Fed’s forecasting credibility is perhaps near zero, to do this might be a tiny face-saver, although there are still analysts and commentators out there who believe the Fed may hold off any tightening for a few months beyond that date. Here in the UK we have the opposite scenario post the Brexit vote. The establishment spent so much time telling everyone what a disaster a vote to leave the EU would be economically that not surprisingly, in the immediate aftermath of the referendum, economic nervousness prevailed. Bank of England (BoE) Governor, Mark Carney, was at the forefront of the dire warning brigade, as was the Chancellor of the Exchequer (Finance Minister), George Osborne who had suggested there would have to be an immediate increased austerity budget should Britain vote to leave the EU. George Osborne is no longer Chancellor and his successor, Philip Hammond, does not seem to be considering drastic changes ahead. To almost everyone’s surprise, the UK economy is yet to show much, if anything, in the way of a downturn after an initial stutter which we would put down to the ‘Project Fear’ Remain campaign. Even so the BoE lowered interest rates ‘just in case’ as an economic stimulus in August and although it has kept them steady this month as the data so far has notGovernor supported the necessity of a further cut, Carney is still forecasting the likelihood of an additional drop before the year-end – presumably taking the bank’s base rate down to zero percent – or very close, although his most recent statements have perhaps been slightly less negative. Consider the data. The stock market is up post Brexit, employment has risen, property prices appear to be on the rise again, we are still in a GDP growth phase, the latest Services PMI for August (i.e post Brexit) has shown the biggest month on month rise in its history; the August manufacturing PMI also grew at the fastest rate in its 25 year history to 53.3 when the market had been expecting a contraction; inflation has not yet taken off, despite the fall in the value of the pound sterling against the euro and the US dollar. Indeed the pound seems to be just about the only sufferer so far from the Brexit vote, although this is a two-edged sword in that it makes UK exports more competitive, and boosts tourist spending as foreign currencies go further making the UK an even more attractive destination. Now Carney, the BoE and the other Brexit naysayers will warn that this is a phony temporary outcome. Inflation is almost certainly going to increase as lower sterling means higher costs of imports and if that starts filtering through to consumer spending we could well see difficult times ahead. It is early days yet, and the UK is still in the EU so the real exit fallout is perhaps still two years or more away. But so far the figures have confounded virtually all the ‘expert’ predictions and perhaps they will continue to do so when some of the potential positives of Brexit are at last taken into account. However, this doesn’t stop the Brexit doom and gloom merchants from still trying to talk things down in order to justify their dire predictions – and Carney and the BoE are among these and thus may yet decide to cut rates again whether the data really justifies this or not. Conversely the U.S. Fed may well raise rates to pursue the so-called legitimacy of its own forecasts. That’s what happens in global economics and politics. The experts and the establishment hate to be seen to be wrong and will often follow their pre-conceived paths regardless with no thought for the general public and the investment community if it may affect them adversely in the process. What is doubly worrying is that this same analysis may well apply throughout the global political arena – even down to going to war! 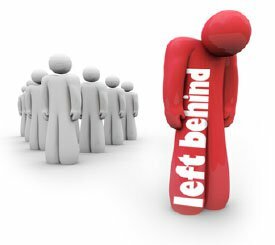 Once national leaders are set on a particular path they tend to continue regardless, even though intelligence data may change and not ultimately support their decisions. One might argue that the Iraq wars and the interventions in Afghanistan, Libya and Syria have indeed followed this kind of route with no planning or perception of the potential consequences, not only for the combatants, but probably even more importantly for the domestic populations of those nations. They just create a power vacuum allowing extremist organisations to take control, if not of the whole country, but large swathes of it. NATO could find itself embroiled in something similar in the Ukraine when it could talk itself into lining up against Russia – altogether a different, and far more alarming, confrontation for all concerned. But it’s too easy for what starts as combative rhetoric to lead to an ultimate nightmare scenario with neither side willing to back down for fear of losing face. But that’s something of a digression, albeit an alarming one. Both the U.S. Fed and the BoE, and perhaps the European Central Bank too, could be talking themselves into economic policies which are to the ultimate detriment of their own domestic communities and will likely also adversely impact the world’s emerging economies. Arguably the Bank of Japan has already accomplished this having implemented policies which have driven this key economic and industrial powerhouse into years of average zero growth. But until we hear the results of the FOMC deliberations before the end of this week, precious metals and equities may remain volatile – even with the week-long moratorium on Fedspeak ahead of the meeting so there won’t be FOMC participants muddying the waters with their conflicting statements. If, as most expect, there’s no decision on rates this time, the markets may breathe a collective sigh of relief up until the weeks ahead of the December FOMC meeting when we’ll see this all play out again. Fed member statements move gold price up or down. Should this be allowed? First one US Fed leader says one thing regarding the possibility of a second interest rate hike this year and then another comes up with a different take on the U.S.’s overall economic position and gold and the dollar move up or down depending on what position is being taken. We have commented before that why the gold price moves to the extent it does on the potential timing of what is likely to be a minimal interest rate increase of perhaps 25 basis points is somewhat of a mystery. (See: Why does gold react so sharply to poss. Fed interest rate rise schedule?) Real inflation is growing at a higher rate than official figures suggest and even if there is a small rate increase, the U.S. will effectively remain in negative rate territory, which is generally positive for gold, but this seems to be being totally disregarded. Regarding a possible Fed rate increase, possible dates, if the Fed will raise them this year, are September, November and December. We can probably rule out November as the Fed meeting is scheduled only a week ahead of the US Presidential election and the Fed wouldn’t want to be seen as doing anything which might be seen as impacting the result for whatever reason. That leaves next month – probably too early, given the tone of the last FOMC minutes – and a more likely date of December, a full year after the last rate increase assuming economic indicators don’t turn down, which they well could. But from a Fed credibility point of view one suspects that there will be added pressure to go for at least a December rate rise and we would rate that as the most likely date even though a number of top rated analysts do not believe the Fed will return to making small rate rises at all until next year – if then. So what if the Fed does raise rates by perhaps another 25 basis points in December. The biggest worry for the FOMC is perhaps that this will adversely impact general stock market growth. There are many out there predicting a stock market crash as stocks are seen as overvalued and the worry is that it may only take a tiny adverse change in interest rates to trigger the start of a major downturn. One doubts that the possible effects on gold will even be considered but it is worth remembering that after a very small adverse reaction given the rate rise was well forecast last December, within 3 weeks gold started on its upwards surge. So much for adverse effects of a Fed rate increase on the gold price. After years of buying based on progressively lower metal prices, bullion investors find themselves facing a dynamic that has been missing for awhile: higher prices. That leaves them in a bit of a quandary, and many are sitting on their hands. Investors need to feel like they are getting a bargain – that prices can head much higher still. Many aren’t “feeling” it in the bullion markets. Now that silver has made a run back to $20/oz and gold is once again at $1,350/oz, the metals don’t seem cheap. Some investors are even grabbing the opportunity to sell. The U.S. Mint finally caught up with orders for the silver American Eagle. Dealers are no longer faced with rationing by the dysfunctional government mint. And premiums for bellwether 90% silver U.S. coin bagsare falling. For the first time in years, there is more than enough being sold back into dealer stocks. 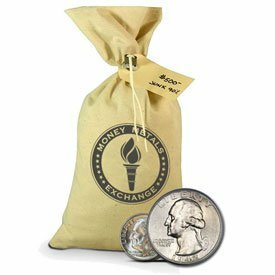 90% silver dimes and quarters are available at the lowest premiums in years. That makes now a good time to take a look at the landscape and decide whether metals are topping out here – or if today’s prices still represent a bargain. The author also points out that, at 7 years, this “recovery” is getting long in the tooth. This reality doesn’t jibe with comments from the Fed. It’s an awkward time for our central bankers. They promoted wildly unpopular bank bailouts and programs to buy Wall Street’s most toxic and fraudulent loans. They printed trillions to monetize Treasury debt. They pushed interest rates down to zero, which has decimated seniors and others who depend on interest income. They told us these measures were absolutely essential to returning the U.S. economy to solid footing. But this pathetic “recovery” is all they have to show for it. It is cannot be totally ruled out that Fed officials could be right, that, after 7 years of tepid growth, the U.S. economy will finally lift off. That the Fed will finally normalize interest rates and no more stimulus will be necessary. There are market observers out there who still believe this to be possible. We don’t buy it. Even if, by some miracle, our stimulus-addicted economy can find a way to grow during withdrawals of stimulus, Congress can no longer live without the Fed’s magic money machine. 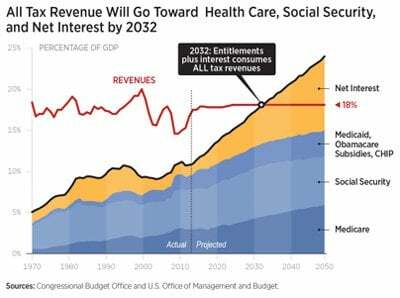 The Congressional Budget Office is projecting the federal government will rack up another $9.4 trillion in debt in 10 years. That may be wishful thinking. They have a history of underestimating how much programs will cost. Normalizing interest rates 3-4% higher than they are currently will lead to crushing public and private debt service payments and send the economy off a cliff. And no, electing Donald Trump as president won’t solve this problem either. We suggest it would be wiser to bet on negative interest rates, or helicopter money, or both. That means the dollar has much further to fall and gold and silver prices are just getting started on their journey north. Bullion investors should also consider that, despite the rise in prices, the value proposition for gold and silver is quite compelling. Speculative interest in gold and silver futures is near all-time highs. Same for ownership in metals ETFs. Heavy speculative inflows in recent weeks may be cause for concern about precious metals markets overheating near-term. But by comparison, the bond and stock markets have been overheating for years. The “smart” money is dumping stocks and looking for alternative assets given that equity prices are so high with so little in the way of profits to support them. Large investors aren’t buying Janet Yellen’s assurances about recovery, and they are increasingly uncomfortable with price to earnings valuations at the current levels. Want to know something else institutional investors don’t love? A 1.5% yield on a 10-year Treasury note. They may be buying bonds – perhaps because they anticipate yields are going even lower or even negative – but the lower yields go, the more attractive metals become. No one has to sacrifice much interest to hold metals instead of cash or bonds. Many hedge fund managers, including some who previously hated gold, are looking in consternation at inflated stock prices and epic low yields in the bond market and saying, why not? At least gold and silver are among the best performing assets of the year, and prices are still nowhere near all-time highs like bonds and equities. There is certainly nothing wrong with bargain hunting. Bullion investors just need to remember that when prices are in an uptrend, finding a bargain means not waiting too long to buy. Gold Today –Gold closed in New York at $1,294.30 up $9 on Wednesday rose strongly in Shanghai to $1,306 before rising again at London’s opening. The $: € moved lower to $1.1260 from yesterday’s $1.1228 overnight. The dollar index moved to 94.48 down from 94.78. Shanghai led the way again, after New York closed, taking the price higher to be followed by London taking it higher still, where the gold price barged through overhead resistance and the psychological resistance at $1,300 and hit $1,310. We see this, in part, as HSBC buying in London to supply yesteradya’s SPDR gold ETF demand as well as Chinese investors rushing into gold. For supplies to be this tight in London tells us that the improvement in the technical picture was reinforced by the supply/demand position in London as U.S. demand continues to burgeon. We note from Shanghai’s performance, that demand in London or New York cannot be met in China, as no gold exports are allowed from there. Hence Shanghai is untouched by any supply squeeze in the developed world. Only the Chinese bank ICBC could relieve such demand from its London stocks. But its task, while it is to provide gold to the market as a ‘market maker’ it is not bound to keep the London market ‘in balance’ from its stocks. But it is tasked by China to supply gold to China too. Consequently, it is entirely proper to provide balance in the Chinese gold market, not London. This means that the ICBC will send the gold not needed to be a market maker in London, to China to meet that demand. Global financial markets are appearing to be discounting an exit of the U.K. from the E.U. and the consequential turmoil now expected. Next week may well prove a ‘watershed’ week for the financial world. If the U.K. votes to stay in the E.U. it will be a damp squid, but if not it may well prove to be ‘the event’ that triggers disruptions that will benefit gold and silver tremendously. LBMA price setting: $1,307.00 up from Wednesday 15th June’s $1,282.00. The gold price in the euro was set at €1,164.37 up from Wednesday’s €1,141.79. Ahead of New York’s opening, the gold price was trading at $1,305.50 and in the euro at €1,168.44. Silver Today –The silver price closed in New York on Tuesday at $17.54, up from Tuesday’s $17.38 a rise of 16 cents. Ahead of New York’s opening the silver price stood at $17.71. Not only did the Fed hold rates at current levels, it did warn of game changing events such as Brexit, that could affect U.S. growth and the dollar. It stated that while jobs growth was slowing, economic growth was rising. After Janet Yellen’s statement the gold price jumped to over $1,294 in line with more buying into the SPDR gold ETF. The next event, overnight, to affect markets was the Bank of Japan’s Kuroda confirmation that it would do nothing more to stimulate Japan’s economy. At this point the global markets reacted by falling. It was not just in Japan, it was across the world, why? We see this as a signal that Japanese monetary stimulation is not succeeding, confirmed by a stronger Yen, now trading at 104.26 to the U.S. dollar. Falling equity markets around the world tell another story. While they are the remaining source of decent yields and likely to stay that way, prospects for global growth are slowing and now affecting global equities, which are either ‘toppy’ or beginning to fall. In other words, the dark clouds that we have been seeing on the horizon are moving above us. What next? Brexit is next, next Thursday with results seen later that day. Gold ETFs – On Wednesday the holdings of the SPDR gold ETF(GLD) & Gold Trust(IAU) rose another 2.14 tonnes as more bullion was purchased into the gold ETF, leaving its holdings at 900.75. 0.75 of a tonne of gold bullion was added to the Gold Trust, leaving its holding at 197.65 tonnes. Since January 4th this year, the holdings of these two gold ETFs have risen 301.632 tonnes. This could prove more that the central banks disclose they bought over 2016. With the distinct possibility of Brexit ahead we could see this total leap over the rest of the year. Silver –Silver is going at full pelt now and should continue to do so in the weeks ahead.